Heavy Metal In Kabul? It's The Music, Not The Munitions : Parallels When 23-year-old musician Solomon "Sully" Omar left Denver for Afghanistan — his parents' homeland — his hopes for Kabul weren't high. But he discovered a music scene that was "alive and breathing," bursting with "crazy metal and dub step." 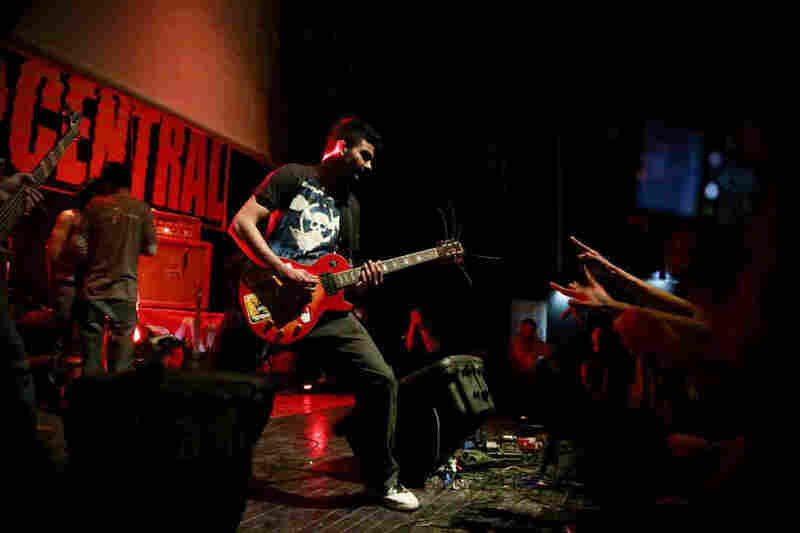 Solomon "Sully" Omar performs with the Afghan metal band District Unknown at the third annual Sound Central Festival in Kabul earlier this month. "I came here to continue my education and at the same time see what's in the music scene here and bring some of the skills and abilities that I have to the music scene," says Omar. The 23-year-old, Colorado-born Omar (shown here performing an acoustic set with a member of District Unknown) says he was pleasantly surprised by the vibrant music scene he found when he landed in Kabul last year. Omar's parents attended the Sound Central Festival, and it was life coming full circle for the family. Omar's father — whom he describes as an artist and former hippie — performed on the very same stage of the French Cultural Center back in the '70s. 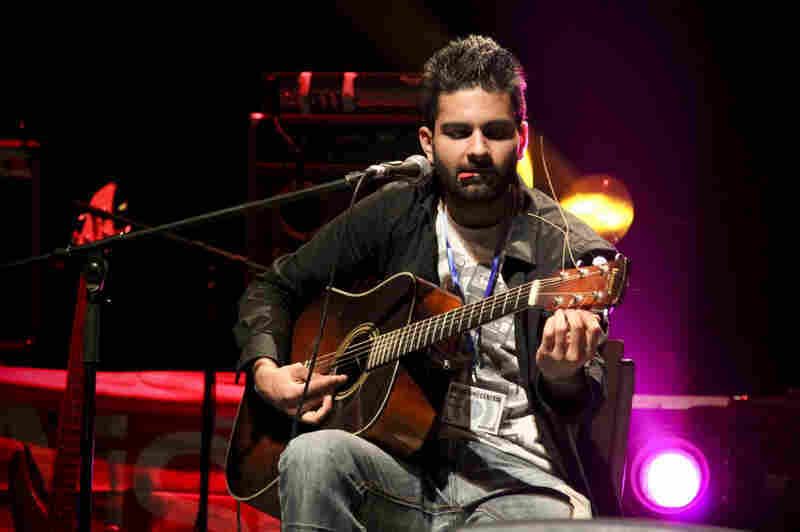 "My dad is a staunch supporter of my music career," says Omar. "He does want me to finish my school as a first priority." "Most people that I tell that I came here, Afghans, they look at me like, 'What? Why?' " he says. "I'm happy here. There is here what I was longing for in the States as a musician — to find a thriving, kind of virgin music scene. That's the most awesome thing I could have wanted," Omar says. "It's not in the perfect circumstances, but I'll take it."